Help the monkey king get even with as many birds as possible after the birds have destroyed the monkeys' banana kingdom. Don't let any birds get away. 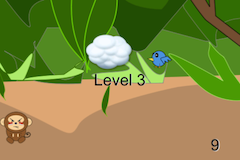 Tap on the screen to throw bananas at them, and watch out for those clouds! JP and I first started working on this game back in 2011. 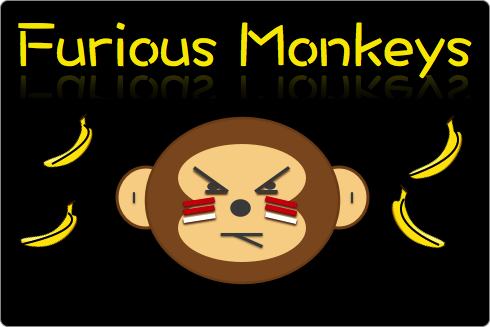 Legal Disclaimer: This website, the Furious Monkeys ™ game contents and dynamics, and all original artwork are copyright by the LessaWorld Company. The Furious Monkeys ™ game brand is a trademark of the LessaWorld Company. All rights reserved. You may not, except with our express written permission, reverse-engineer, distribute or commercially exploit the game - or the game brand.